Ankle fusion consists of using screws to join the bones located within the ankle. This permanently locks the ankle in one place in order to reduce or eliminate pain or discomfort. Ankle fusion can be used to treat conditions like severe pain, an injury, chronic sepsis, or a failed ankle replacement, in addition to arthritis, osteoarthritis or rheumatoid arthritis of the ankle. Non-surgical alternatives to ankle fusion may be attempted first, and can include pain medications, strength training, physical therapy and steroid injections. For some patients, wearing an ankle brace, using a walking aid, or losing weight can help manage symptoms. The surgical alternative to ankle fusion is a complete ankle replacement (arthroplasty). Ankle fusion is performed under general anesthesia or epidural (regional) anesthesia. Some patients experience complications from ankle fusion such as infection, bleeding, or a negative reaction to the anesthesia that is used. It is also possible for the bones to fail to grow together or for the mobility in the ankle to be reduced following the procedure. The prognosis for a positive end result following an ankle fusion is very good. In fact, most patients experience relief from ankle pain. 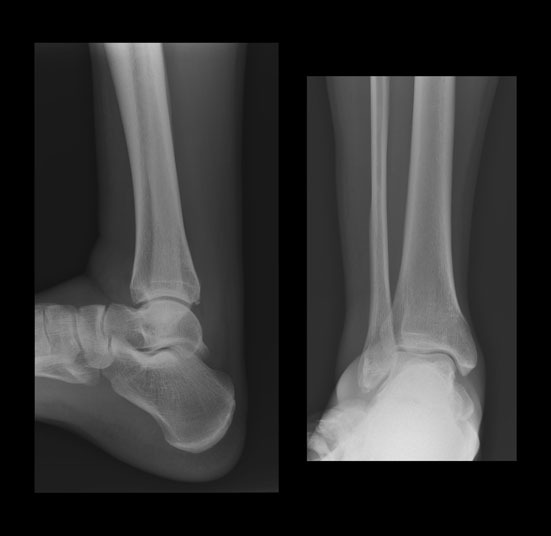 The recovery time required for ankle fusion is eight to 12 weeks.